Water was viewed by Thales from Tilete as the original stuff of the universe; the Koran refers to it as the source of life. For the Taoists water is a symbol of female essence. In the past, as a citizen of the Western world, water used to be for me merely a commodity supplied by the municipal water works for washing and drinking. As a chemical engineer I was trained to visualize water as H20, an abstract perception of reality, useful for equations in understanding and designing chemical reactions — which I still find very exciting. Since my involvement with water starting in 1995,1 look at water in a different light and hope to inspire others to think in a similar vein. I have learned that water is not just a molecule or a commodity. It is much more than that with a respectful and robust age of twelve billion years, full of history, information, and indispensable for our living ecosystems. 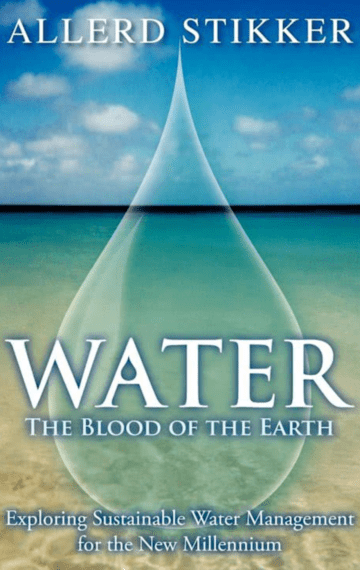 It is indeed the blood of the earth. When I started research on the world water situation in 1995 I became aware for the first time of water scarcity problems in many regions. From United Nations and World Water Council publications I learned that due to seasons, geography, climate, and population density, billions of people, specifically in the developing countries in Africa and Asia, are affected. Lack of access to sufficient clean drinking water and to water for sanitation leads to suffering and illnesses. An estimated three and a half million people die every year as a result, most of them children. That is ten thousand deaths per day, a frightening thought! I was more than alarmed. My research revealed that in the previous decades a great many important international initiatives were developed to improve this situation, but substantial population growth in developing countries kept running ahead of marginal improvements. Please read the rest of this introduction here in pdf.